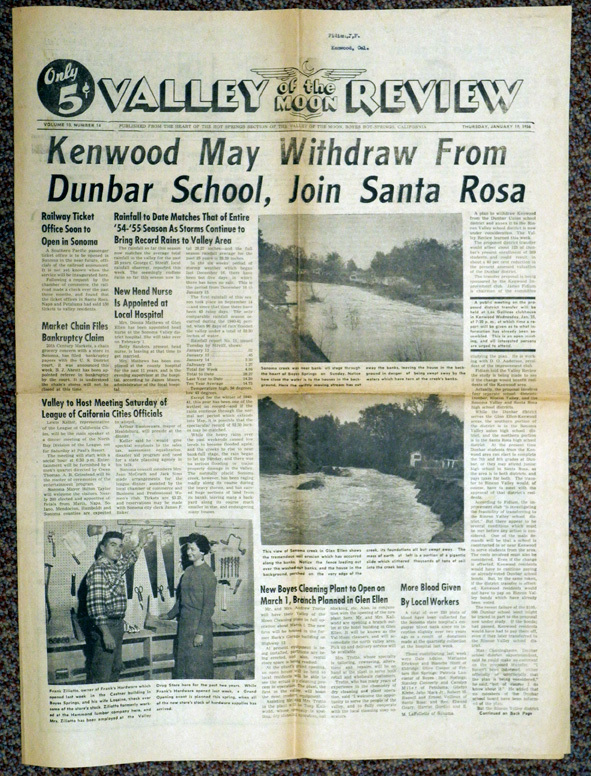 The street scene by Zan Stark shows, at left, offices of the Valley of the Moon Daily Review, of which he was publisher in the late 50s and early 60s. The paper is from 1956. Zan was prolific photographer and publisher of post cards from the 30s through the 50s. Copies of the newspaper are rare. 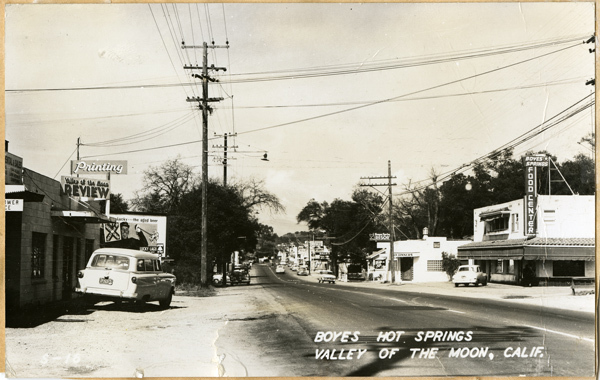 They are valuable historical records of life in the Springs in the mid twentieth century. If you have one or two, consider giving them to this Museum, or the Depot Park Museum. Thank you! Postcard image used Courtesy of the Department of Special Collections and University Archives, Stanford University Libraries. Sadly, Paul’s Resort burned in 2014. 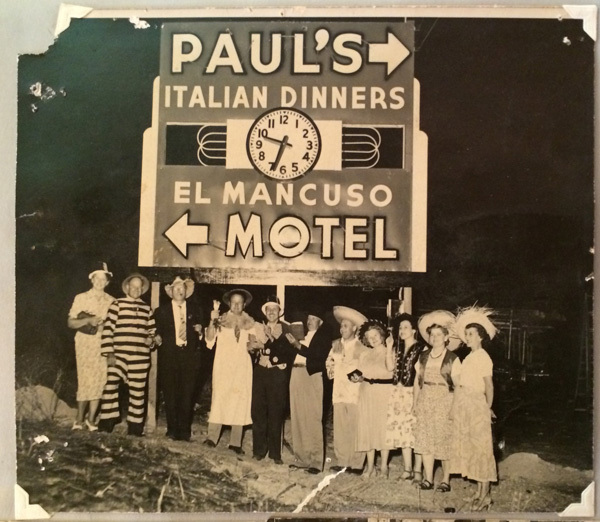 Eve, Marcucci was kind enough to share some of her scrap book photos with the Museum.